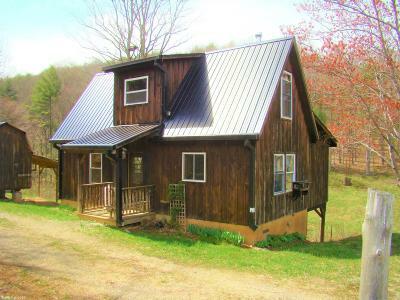 Imagine sitting on your covered porch overlooking 10 acres of privacy or sitting at the edge of your own pond. This home has been beautifully built with golden toned timber on the inside. This would be a great home for someone who wants to get away from the hustle and bustle of day to day life. Yet, it&apos;s not that far from Pearisburg or Dublin. Directions: From Dublin, Route 100 To Left On Walkers Creek Road. Take A Left On Flat Hollow Road At The Community Center. Stay On Flat Hollow. Home On The Right.